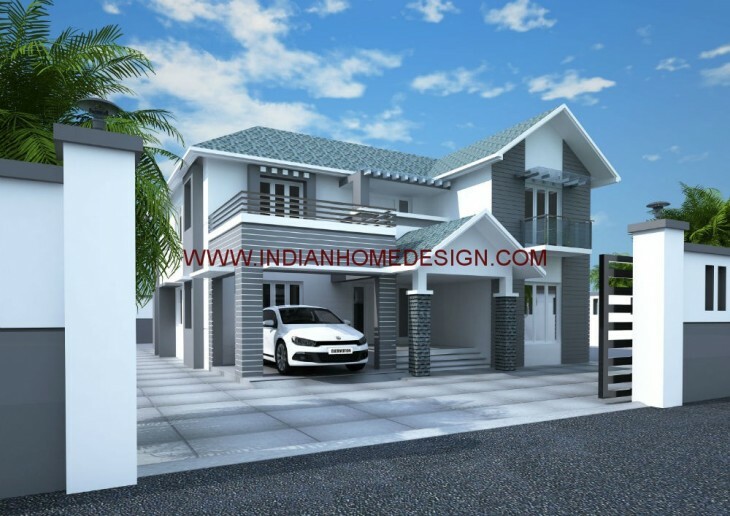 Here is a 2800 SQ.FT Villa design. PLINTH AREA = 2800 SQ.FT. BED ROOMS = 5 NOS. If you like this House design idea theme - "2800 SQ.FT Villa design" , do take few seconds to share with your friends and relatives . Let them know what you like.